Get ready to “suit up” with the next generation of Jaeger pilots as Universal Pictures and Legendary Pictures releases the second official trailer for Pacific Rim: Uprising. View trailer below. It has been ten years since the Battle of the Breach and the oceans are still, but restless. Vindicated by the victory at the Breach, the Jaeger program has evolved into the most powerful global defense force in human history. The PPDC now calls upon the best and brightest to rise up and become the next generation of heroes when the Kaiju threat returns. Into this is thrust ex-jaeger pilot Jake Pentecost, son of the late Stacker Pentecost, who is given a chance by his adopted sister, Mako Mori to unite with the world and fellow Jaeger pilots to prevent humanity’s extinction. Totally geeking out about this trailer. As i stated in my previous post for the first official trailer for this movie, i loved the first Pacific Rim movie, finding it to be a solid and entertaining summer popcorn blockbuster (i.e great visuals, great monsters, and great large battles sequences). Definitely a great film that summer. This new one has peeked my interest greatly as this new trailer showcases a lot of new footage as well as explaining a tad bit of the film’s narrative plot. Will this movie be good as the first one? Will Uprising fail to meet fans expectations? It’s hard to say at this point. Hopefully, it does well and produces a engaging (and fun) sequel to this giant monster / giant robot universe. i know. I’m ready for a big robot / monster battle on the big screen! Haha…you’re right about that. Plus, add in Godzilla and all the monster from those movies. The first one was a lot of fun; hopefully this will be too! I loved John Boyega in the new Star Wars trilogy and I’m excited to see him starring in this. Definitely agree with you. 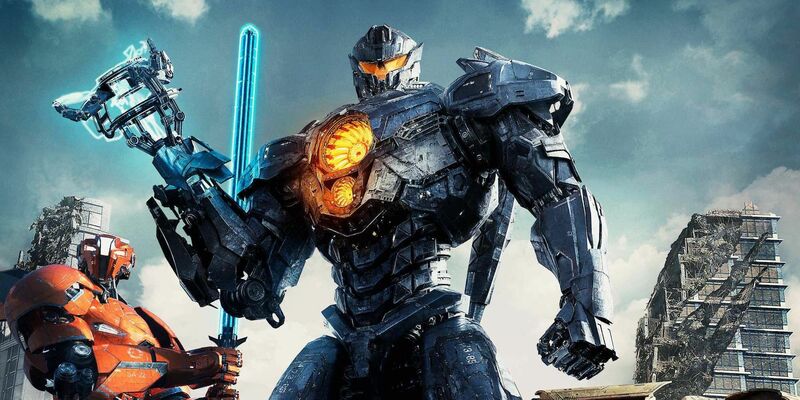 The first Pacific Rim film was loads of fun, so i hope it carries over in Uprising.